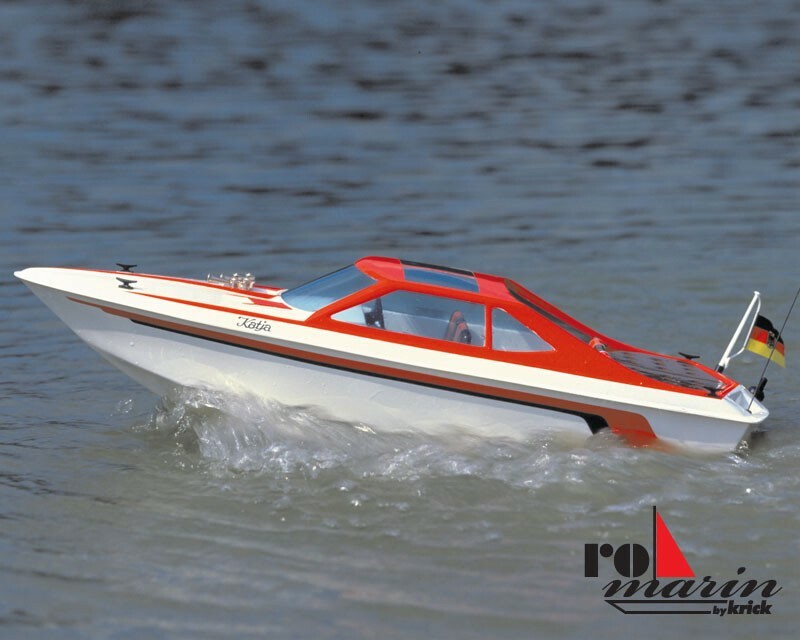 Katja is the successful replica of an elegant four-seater sport boat with an inboard engine. The model consists essentially of seven plastic parts. Deck and cabin are made in one piece from transparent plastic. Thus eliminates the costly cutting and pasting the windows. The Katja can be used free-wheeling or with remote control. In the free ride, the rudder is set to a fixed radius. Equipped with a remote control, the Katia is extremely agile and due to the engine very nimble. We recommend the Katja as the ideal fun model for the beginner.